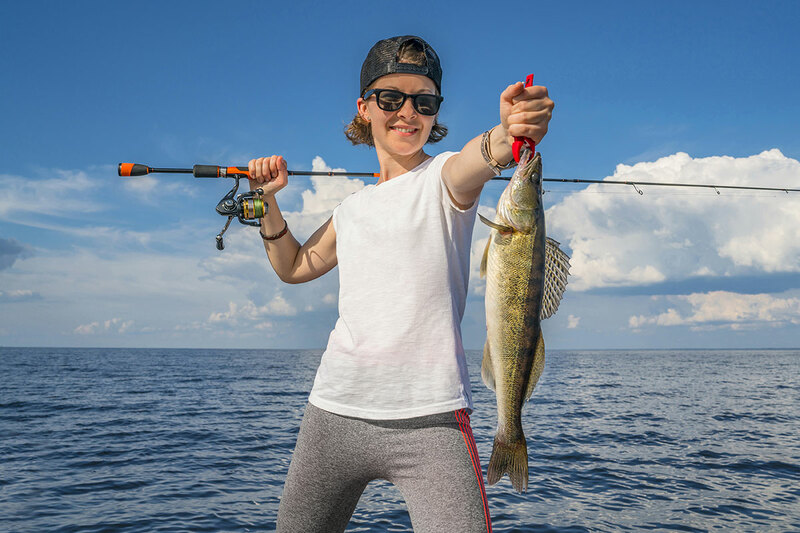 Saginaw Bay in the mid-summer fishing mode and the walleye are out deep for the most part. 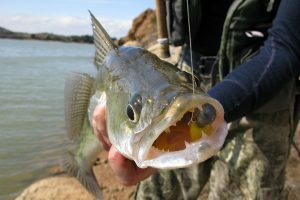 Walleye fishing in the inner bay is spotty as the fish are scattered. The most consistent area was near Buoys 1 & 2 at the end of the shipping channel in 30 feet or more. 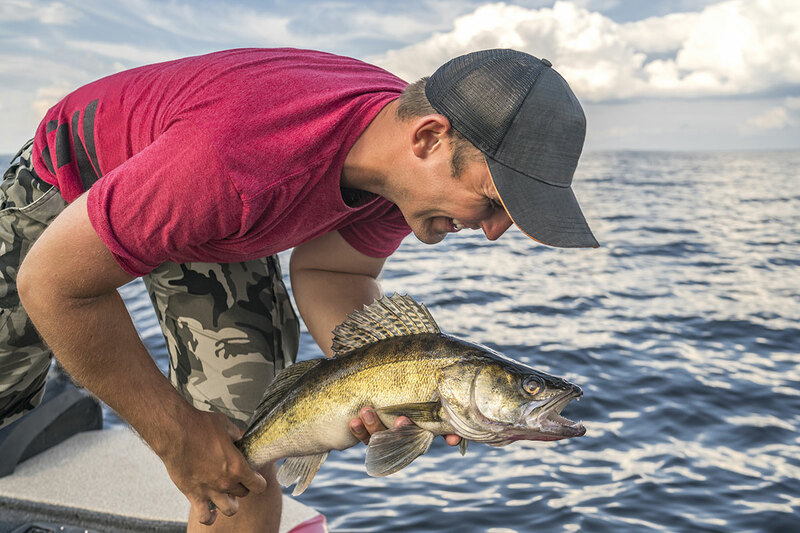 Walleye continue to be caught at most locations if anglers put in enough time. Try the shallow side of the Slot between Sebewaing and Sand Point in 10 to 12 feet. Crawler harnesses seem to work best though some were also using spoons or crank baits. Perch fishing was starting to pick up in several locations especially in the Old Shipping Channel off the mouth of the Saginaw River in 17 feet. Other spots include Sailboat Buoys A & B or F & G off Linwood and the Spark Plug at Buoys 11 & 12. The fish range eight to 10 inches. Limits are possible but not the norm. 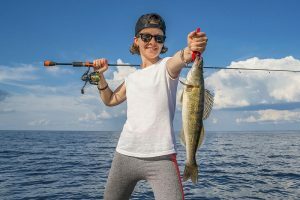 Au Gres Area #walleyefishing slowed some; but they are still getting fish between Point Lookout and Pointe Au Gres in 20 to 40 feet or out deeper off the Gravelly Shoals and Big Charity Island. Perch anglers were getting fish off the mouth of the Pine River and off Eagle Bay Marina in 10 to 20 feet. Those targeting catfish have also done well. Grindstone City anglers were getting lots of lake trout in 130 to 135 feet. Oscoda steelhead, lake trout, and the odd Atlantic or small Chinook were taken by anglers trolling spoons, meat rigs and spin-glo’s with dodgers 35 to 65 feet down in 85 to 130 feet. Lake trout were also caught in the bottom 30 feet around the drop-off. Quite a few suspended walleye were caught incidentally by those trolling spoons for salmon and trout. Anglers still-fishing crawlers and leeches from the pier caught channel catfish, smallmouth bass, or a few walleye. The catfish bite was best in the evening. Au Sable River still-fishing and drifting crawlers in the lower river caught smallmouth bass, rock bass, freshwater drum, and a few small walleye. Those casting spinners caught pike while smallmouth bass were taken on poppers or a weed less soft plastic. 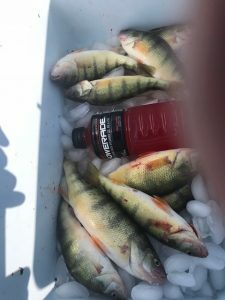 Smallmouth bass, small walleye, and a few nice pike have been caught on streamers or when casting crank baits between Mio, Alcona, and Loud Dam. Port Austin walleye fishing slowed. It seems the walleye fishery just never really developed here this summer. Tawas Area walleye trollers just outside Tawas Bay were doing well around Buoy #2 in 35 to 70 feet and bringing back some limits on a harness. They’re also fishing up towards Au Sable Point and getting some steelhead, Atlantics and walleye. Inside Tawas Bay, walleye were caught around Buoys 4 & 6. Minnows are a popular bait option for many anglers, but do you know the difference between the various species? Understanding these differences can help you during your next fishing adventure! Please note Michigan has several bait restrictions in place to prevent the spread of fish diseases. Information about these restrictions and regulations can be found on page 27 of the 2018 Michigan Fishing Guide (pdf).